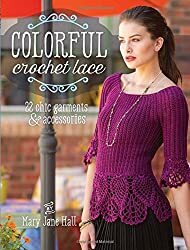 Outstanding Crochet: Mary Jane Hall new Crochet Patterns book - Colorful Crochet Lace: 22 Chic Garments & Accessories. Review. Mary Jane Hall new Crochet Patterns book - Colorful Crochet Lace: 22 Chic Garments & Accessories. Review. Can't go to Paris this summer? Do not be upset! We have the right tool to make ourselves feel French on any day of the year. Yes, those you have all over your house if you are like me - a crochet hook! available at Amazon. Click the above link to buy the book. I included pictures of all designed here with links to Ravelry, where you can find information on hook size, yarn weight, yardage and size available. Just click on the name of a particular design. This one is very cute. I like the muted color. 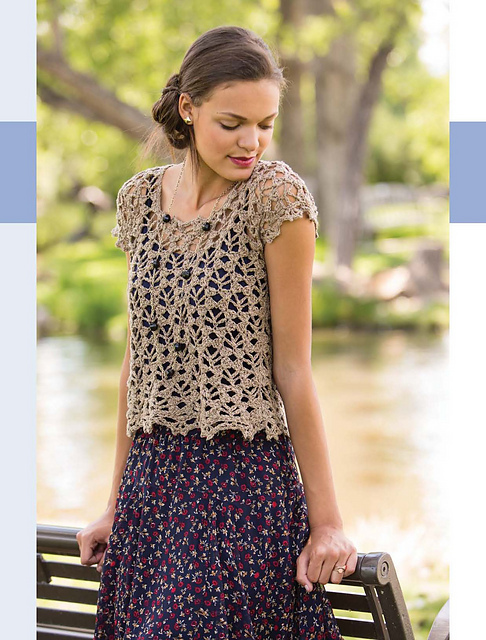 Interesting stitch and side details. I know emerald is one of Mary Jane's favorite colors. This dress is beautiful. 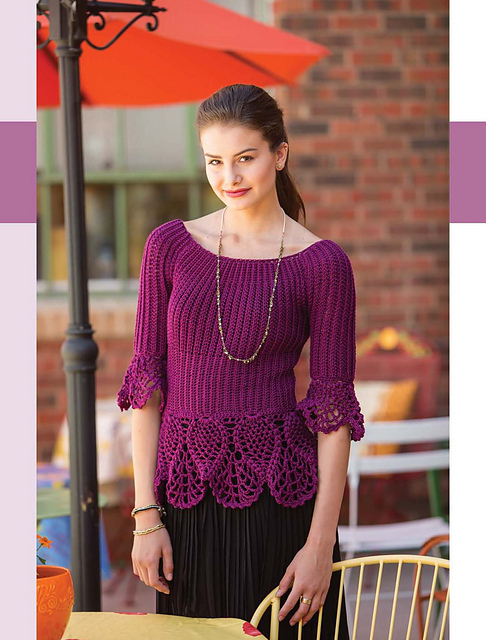 This bolero looks very comfortable and will add a unique touch to any outfit. Great way to spice up last summer bought dress. This design will look flattering on any type of a figure. 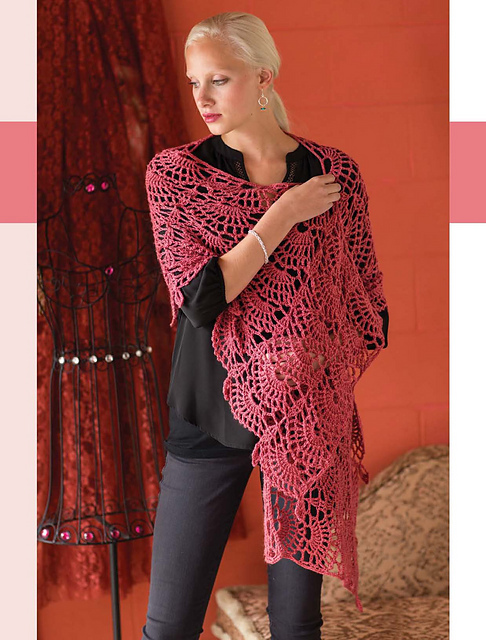 What can be more French than a shawl? A must to make. Lovely color and hoods look great with long hair. 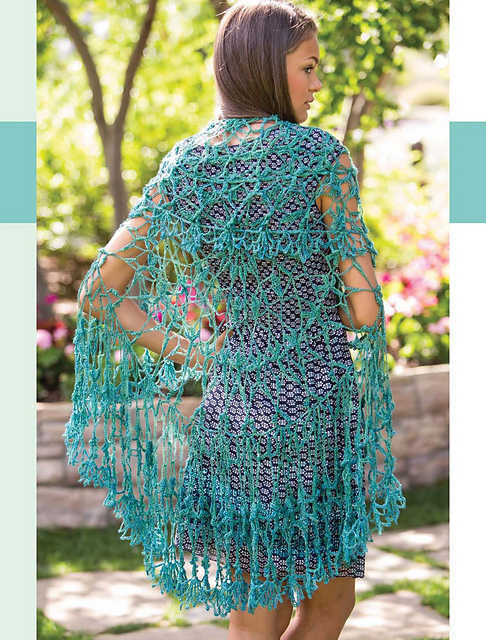 This is made by using Mary Jane's signature technique - Graduated Stitch Method, when you don't make any decreased or increases to shape a garment. 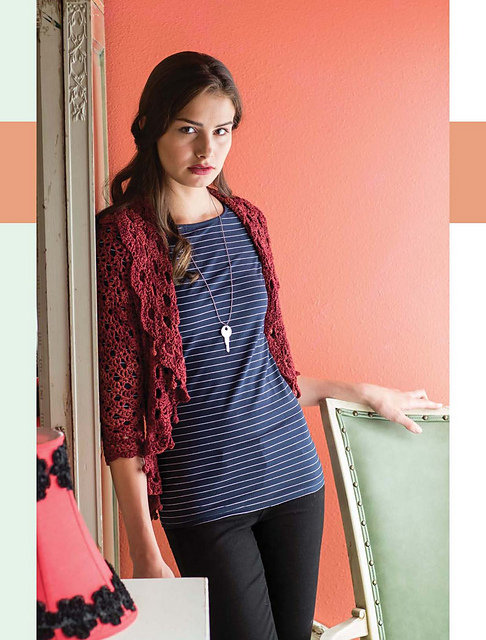 Who does't love motif crochet? Beautiful squares in this one. Another garment, made by using Graduated Stitch Method. 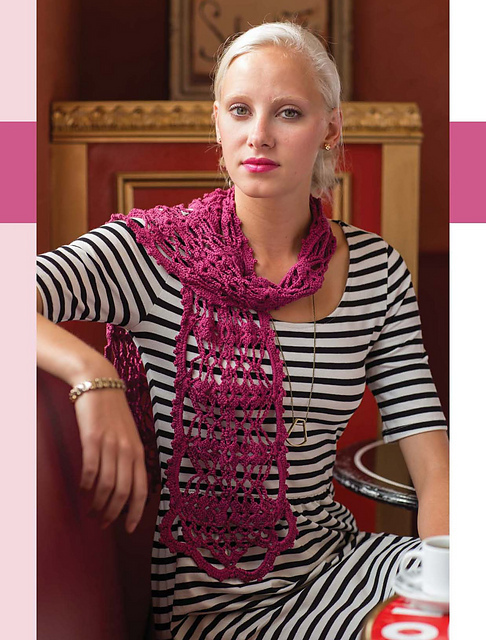 We all must have at least a dozen of different scarfs! Roomy, summery and who has enough bags? This is fun to wear and turn skirt! I bet people will be turning their heads to look at you! Yes, another scarf to your collection, never enough! 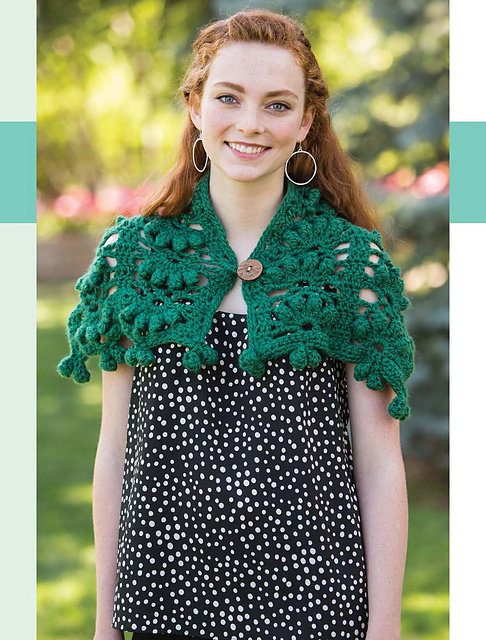 This one will make a perfect gift, you will crochet it in no time. 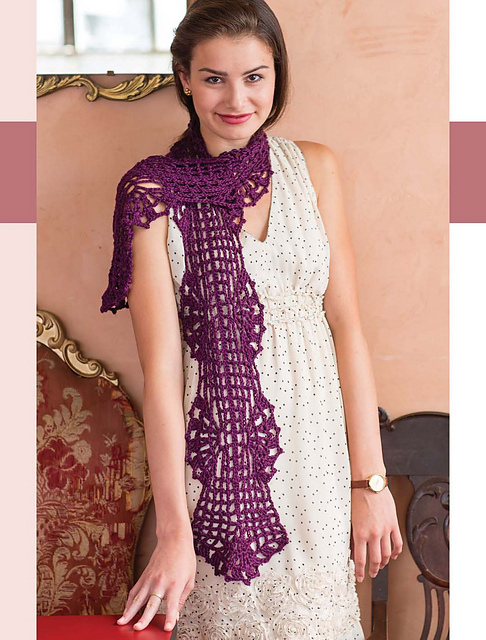 If you trying to get somebody into crochet, this project is perfect for beginners. So many great designs in one book! This has been on my wish list at Amazon for several weeks, it's not out in th UK for a couple more weeks yet! Looking forward to its release! MUY BONITOS GRACIAS POR COMPARTILOS.